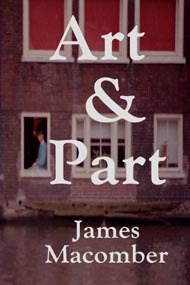 "Art & Part", with the international trial of Libyan security agents accused of the horrific bombing of Pan Am flight 103 and its crash in Lockerbie, Scotland as its background, tells the story of this horrifying event and its effects with a heavy dose of spellbinding intrigue and the requisite ration of adventure, action, and emotion. This 'edge-of-your-seat' thriller takes the reader from Amsterdam's seedy Canal Street district, to Virginia's CIA headquarters and even to the innermost circles of the White House. And finally, when the twisted events unravel, the tense rescue and shocking conclusion will leave you breathless and you'll again be touched by the strength and the compassion of this intelligent, articulate, and sometimes ruthless hero.